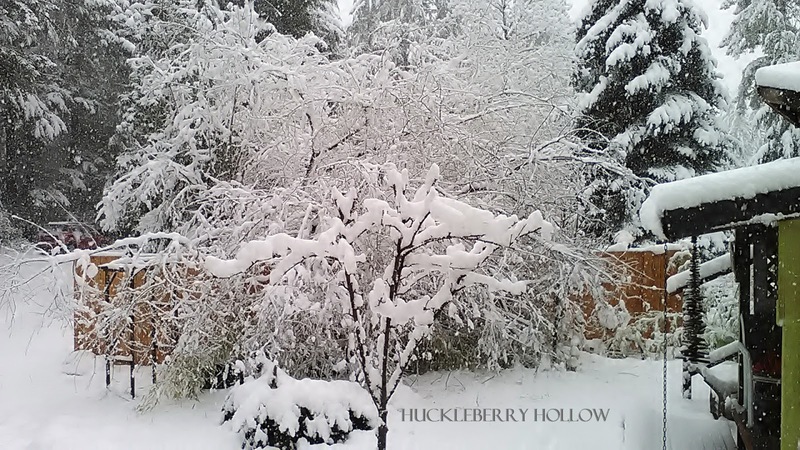 We've had a lot of snow this winter - for us, anyway. 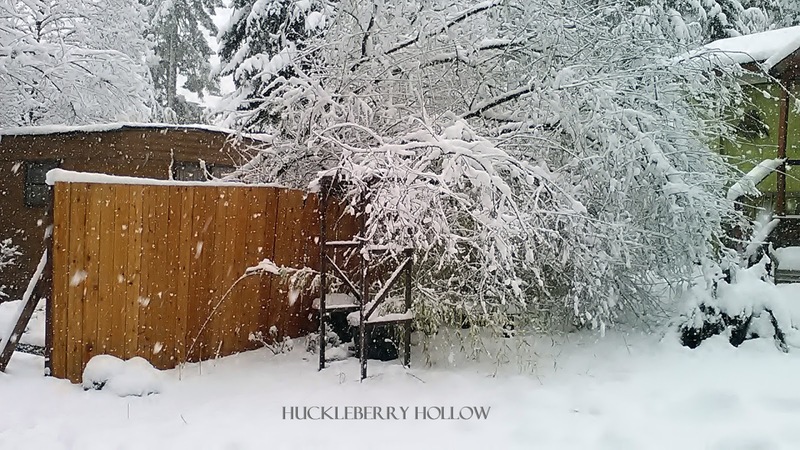 The above photo is the front yard the first time it snowed. 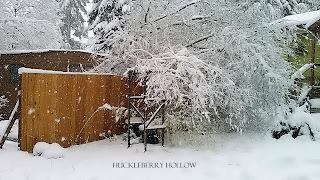 We had about a foot the next time, and several days of just an inch or two. 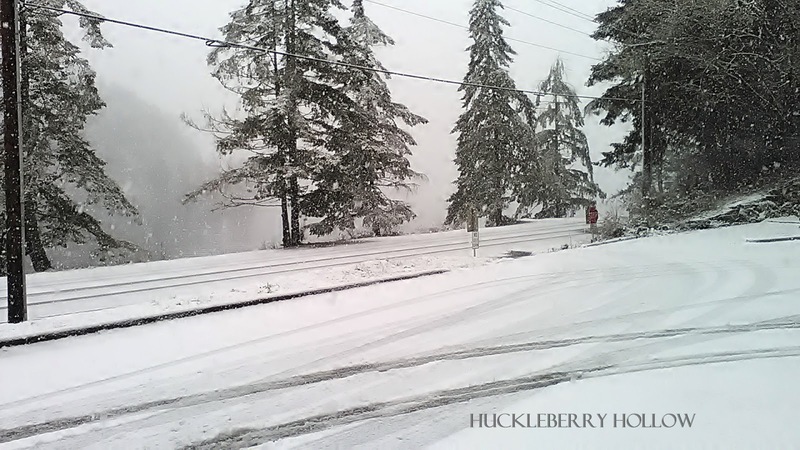 The second photo is Highway 101 - the main road north and south along the Hood Canal, this is in front of the Lilliwaup post office. 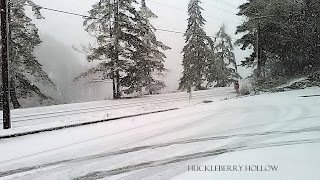 Even the plows couldn't keep up that day! 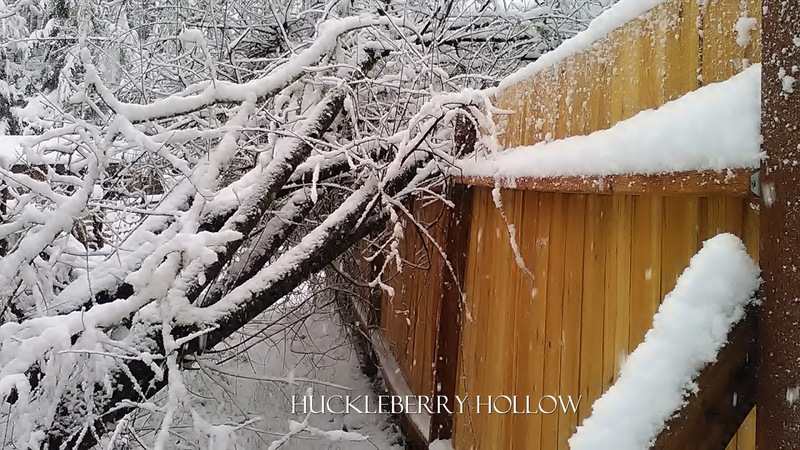 I know so many people who had trees down due to heavy snow, unfortunately this year, I was one of them. The damage was minimal! 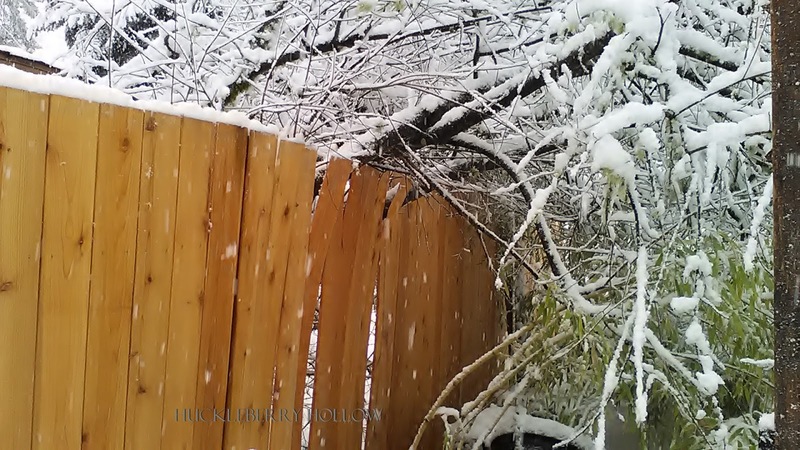 I had just arrived home and heard a thump - turned around to see the neighbor's willow had just fallen over, on my new fence! 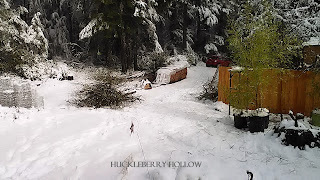 Fortunately they were home and we were able to cut away the branches to take the weight off the fence, then cut away the trunk. I was greatly relieved to see very little damage done! A few boards will need to be replaced and one beam is leaning slightly, but I think it can be propped up from this side. 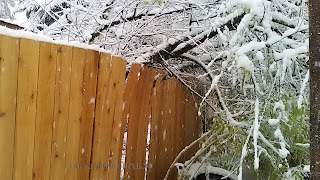 Several piles of branches in the end, which they promptly hauled off. The bamboo all survived, save for some minor embarrassment of being tossed about by the whole experience.